This past weekend I raced with Optum at one of our main goals for the whole season, the team time trial World Championships. We placed 8th out of the 16 best teams in the world, only 1min30 off the podium. Specialized-Lululemon were dialed as ever and dominated the race by averaging over 50 km/h over the 43 km course! The race itself was an awesome experience (yes, riding red lined for close to an hour can be fun). 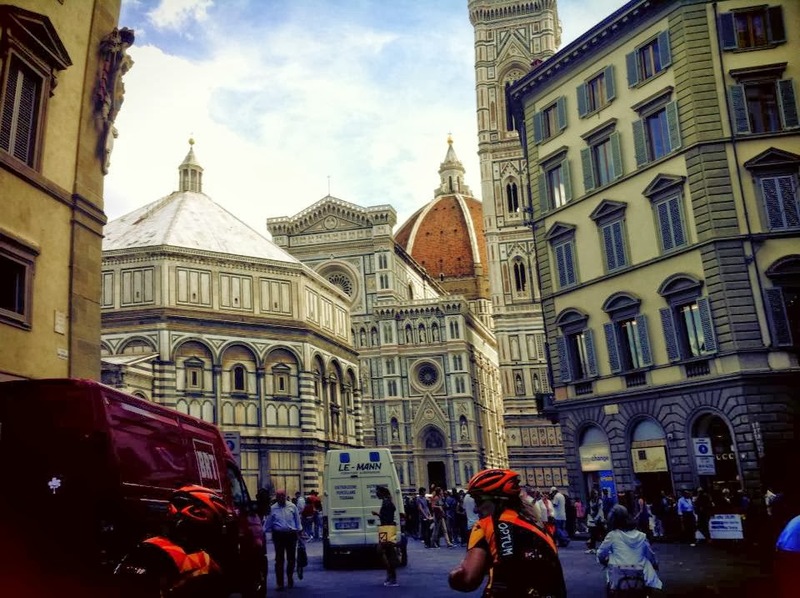 We raced from Pistoia, then followed a newly paved straight flat road all the way into Florence, where the course became more technical as we rode through the historic city. The most spectacular part of the course was riding past the city's most iconic landmark, the Duomo. Apparently this cathedral took 150 years to build back in the 12th century. Can you imagine designing something to never actually witness the finished product? The race went fairly well for our first time trial ever as a team. Our strategy was to start out more conservative and ramp up the pace as we went along. 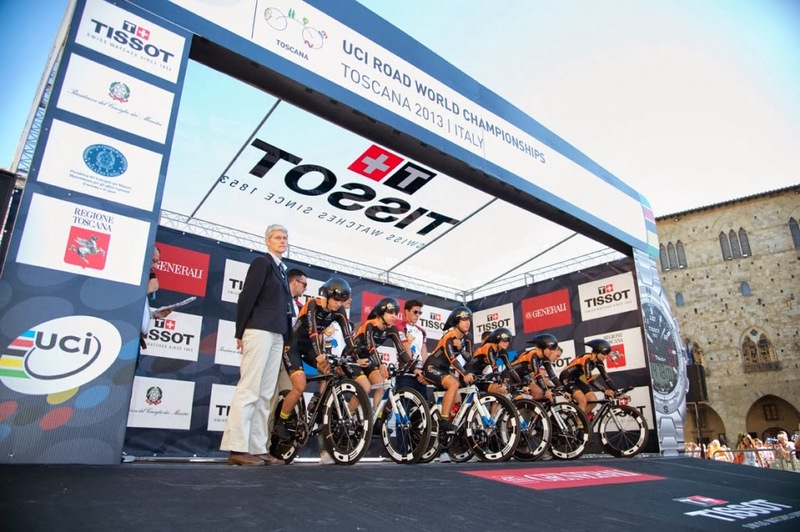 I think as a team we were sort of hoping for a result that would shock the cycling world, but realistically we rode a decent race given our experience at the event. There are so many small details in pacing, aerodynamics, team order, cornering etc. that can make a big difference in this event. It's exciting to reflect on these small details and think about how to improve for next year. On the start ramp Photo Credit: Sam WiebeAn interesting fact is that Optum was one of only five teams that entered both a men's and a women's team for the event. I am so grateful that Optum is supporting the expansion of the women's program. This was our first year as a registered UCI team, and first team trip to Europe and to worlds. It's very exciting to be part of a program that is setting a standard for other teams to follow. Next up is my final race of the season, the Road Race World Championships!